← Prince’s Fire out today! 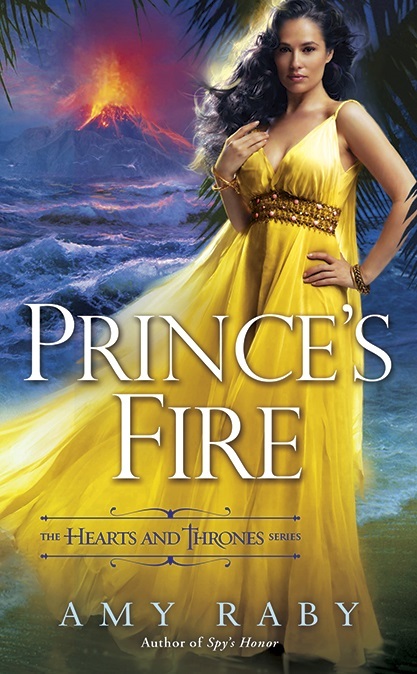 This entry was posted in Books, Hearts and Thrones series, prince's fire, romance and tagged bitten by books, giveaway, release party. Bookmark the permalink. How many books do you have in the process of being written and being published at one time typically? How quickly do you usually get a book written? Thank you! Typically I have one or two books “in the pipeline” (finished and on their way to publication), but only one that I’m actively writing. Some authors can switch back and forth between books, but I have a hard time with it, so I write one all the way through and then start another. It takes me about 6 months to write a full-length novel, one month for a novella. Awesome! Can’t wait to pick it up. How many books do you have in process at one time typically? Congrats on your book! I really like the cover and intend to read this one. Did you tell the cover artist that was what you envisioned? Or did they have you pick the cover from a few others? You write the kinds of books I enjoy reading. Thank you! One thing I like about my publisher is I get to be fairly involved in the cover process. I suggested a beach scene and maybe a volcano (ended up with both), and I provided a few details about the heroine, such as hair color. They took it from there and did a great job. Now that you have been an author, what other career do you wish you had pursued instead? Hi, Jackie! Well, author is my second career. I was a C++ programmer first, and loved that. I don’t regret either of my career choices because I love them both, but I think I would have enjoyed something in the medical field. Doctor or veterinarian. How do you decide what to name your characters? Is there a lot of thought and meaning behind each name or is it a quick process? Do you ever name after people you know in real life? This has always interested me. Hi, Elle! If the character is a major one, I think a lot about the name. I try to pick something that rolls off the tongue nicely and fits the character’s personality. I chose Vitala for its irony; it means “life” and she’s an assassin, a dealer of death. Lucien I adapted from the Roman name Lucius; I felt it fit him because it sounded aristocratic. Names of minor characters I tend to just grab off a list of Roman names.